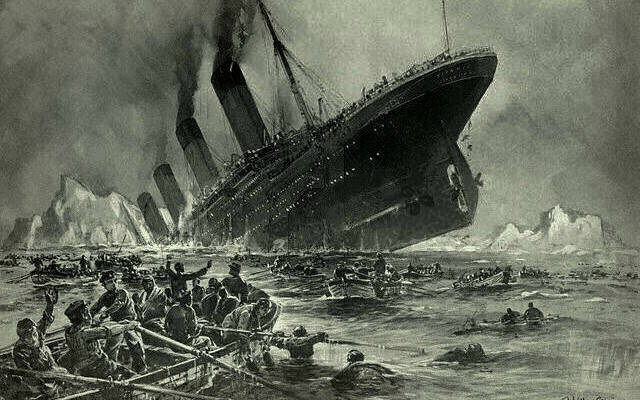 The sinking of the Titanic on its maiden voyage is probably the most famous shipping disaster of all time, but few know about the great impact that it had on one Oxford firm. The tragedy, which struck 105 years ago this month, resulted in both a significant gain and a devastating loss for the Folly Bridge-based business of Salter Bros. The boating firm may not have been operating ocean liners but, like White Star Line, it too was renowned for transporting large numbers of passengers on board its steamers – albeit on the river, rather than the Atlantic. The Oxford business also constructed a wide range of vessels and at the beginning of the twentieth century its showpiece model was ‘The Oxford Collapsible Boat’. Folding craft were already widely used in the Navy, thanks to the pioneering work of Revd E. L. Berthon. As a former boat-builder, he had been contacted by a survivor of the S. S. Orion, which had been shipwrecked off Portpatrick in 1850. Dismayed by the loss of life, the fellow cleric declared that ‘Surely there is some way in which sufficient boats may be carried for all persons on board’. The letter inspired Berthon to design and build a sideways-folding prototype that received a great deal of attention when it was displayed at the Great Exhibition of 1851. He was even asked to demonstrate it to the royal family at Osborne House, which reputedly caused the Prince of Wales to claim that its hull would be no match for a cannonball. Berthon supposedly responded by pointing out that the same was the case for any kind of lifeboat. Despite the keen interest in his craft, it took a further two decades – and a number of other maritime disasters – before the Admiralty started using them in the Navy. 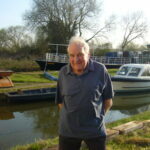 The Oxford boat was one of the ‘next generation’ of vessels inspired by the early models, and it came in three sizes, ranging from a 21ft model designed to carry thirty-five passengers to a 28ft model with a capacity of sixty-two. The design won first prize at the St Petersburg Yachting Exhibition of 1897 and one author even recommended it for polar expeditions because, unlike Berthon’s craft, it folded flat making it easier to transport on ice. Despite a long-standing rumour that circulated amongst its employees, Salters’ did not build any for the Titanic, although the liner did have four Danish-designed collapsible vessels amongst its complement of lifeboats. Nevertheless, the sinking of the ship did have an immediate and notable impact on the business, as it caused an almost 300% increase in the demand for such craft. Lifeboats were certainly not selling well prior to the disaster; in 1911 only one small folding craft (a Berthon model) was purchased from Salters’ all year. 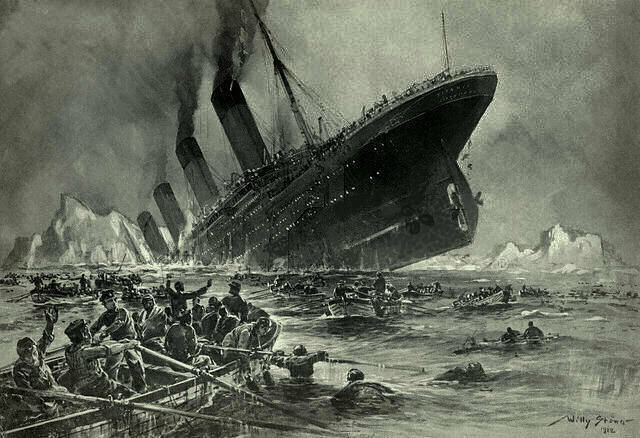 Yet, the following year, the firm received twenty-nine orders for the largest craft – including one from a cabinet minister – all dated after 15 April 1912, when Titanic sank. Salters’ even took the initiative by patenting an improved version of the folding system for the craft. Yet for one employee, William Paintin, a joiner who lived in Thames Street, the up-turn in business came at a devastating personal cost. His son, James Arthur (known by his second name), had worked for White Star Line for a number of years and, after ending up on the North Atlantic run, had been appointed as the Captain’s Steward on board the Titanic. Having only recently married Alice Bunce, the daughter of a college servant from Oxford, he set sail for New York on what would be his final voyage. His untimely death was particularly eerie because of a letter he sent to his parents from the ship’s final port of call, in Queenstown (Ireland). After mentioning ‘the quick voyages all summer (bar accidents)’, he explained that the bad luck from his previous vessel (the Olympic) seemed to have followed them. Although this was meant to be a reference to the slight collision that the liner had had with another vessel (the New York) when coming out of dock, little did he know how portentous his words would turn out to be. A sad postcript to the story was that Arthur had planned to leave the Merchant Navy that year, having discovered that Alice was pregnant. After the Titanic had departed, she travelled to Oxford to spend some time with her family, only to have to cut short her visit once the news of the accident reached the city. She rushed back to Southampton and, after an anxious wait, her worst fears were realised, when it was confirmed that Arthur was not amongst the survivors rescued by the Carpathia. She subsequently returned to the city of dreaming spires to live with her brother in Stratfield Road and, three months after the tragedy, gave birth to a son, named Arthur James, after her late husband. As for Salter Bros, the demand for lifeboats quickly subsided and the firm did not build any more of the Oxford models after 1912, although it did construct numerous craft for the Admiralty during the First World War. The business, which long outlasted White Star Line, continues to operate from Folly Bridge, just around the corner from where the Paintins once lived. One of the collapsible craft even managed to survive unscathed in a Brook Street yard until the twenty-first century, when it was sent to the Classic Boat Museum on the Isle of Wight, where it can still be seen today.